You know how when you see someone very regularly in the same capacity, that’s how you see that person? When you work with the same people on loop, you can easily forget who they actually are, so we think that’s a great time to introduce some Corporate Team Building! Bear with us… for example, you see your favourite aunt fairly often. She’s quite by-the-book but always lovely to you when you see her. She sneaks a little bit of money into your hand when no-one is looking and gives you a fond hug so you know that even though she’s a bit stern sometimes, she’s really kind. And then you have a family party. With alcohol. My word she’s a different person! She’s dancing with all and sundry really raunchily, pinching everyone’s bums and can outbanter the best of us London lot with her quick-fire quips! This is what happens when alcohol removes our filters. It’s priceless and SOOOO refreshing to see people let their hair down! Joking aside though, there’s actually proven benefits to ‘fun’ being part of your corporate team building. It’s easy to overlook in the office that your role is to create a team that collaborate, communicate and resonate with each other as best you can. How much more engaged are your team when they’ve shared a memorable (and amusing!) experience? How many people apply for roles within your department that their current job hasn’t given them the opportunity to show you what they’re capable of? When you consider that ‘how we do anything, is how we do everything’, bubble football is the perfect way for you to see what’s lurking underneath the pinstripes! Watching the dynamics of your team amidst the hilarities will be truly revealing so you’ll be making mental notes left right and centre (forward) on what you’ve learned about your peers during your games. Who was communicating best? Who rallied the team when they were flagging? Who naturally organised the team without a second glance? Who was just downright the most fun and abandoned all the filters? Here in London we’re renowned for higher pressure jobs and more corporate babble than any HR manual could cope with, so us folk at zorbinghire.com actively encourage the removal of filters in bulk and we do that via the medium of fun! Imagine the above situation en masse! Our bubble football here in London is one of the best ways to get your corporate team communicating but with a massive injection of laughter to boot (pun most definitely intended there!). We kid you not – we challenge any manager to bring their team here for some more unusual corporate team building fun and NOT see them in a new light. Your quieter team members turn into dirty tacklers, the ‘ladies’ of the team will stop at nothing to get a goal, even you as the team leader abandon your regimented messages of team spirit and ‘taking one for the team’ in the name of wanting to ‘shine’ by wiping out the opposition who back at the office are your superiors! We know the purpose isn’t for you to size up your team but you can’t help it. It’s such great fun and a reminder that underneath the smart clothes are human beings that are very enjoyable given the opportunity. What’s not to love about getting a team of people running around after a ball with a massive bubble on their head?? We think it’s the perfect way to ‘treat’ your team to some fun and as all of our venues come equipped with private 4G, changing rooms and showers as well as sports and cocktail bars you can keep the team fun going afterwards too. Get in touch and talk to any of our team about your next team building event in London or any of the surrounding areas. Now I’ve just reminded myself of the benefits, I’m off to organise a team game myself. Are you interested in booking your company a fun day out? Or do you want to know more about us? Drop us an email down below and one of our members of staff will be in touch with you shortly. How many people are you wanting to book for? Bubble football is a great activity to hire out if you are a company looking to bring your team together. 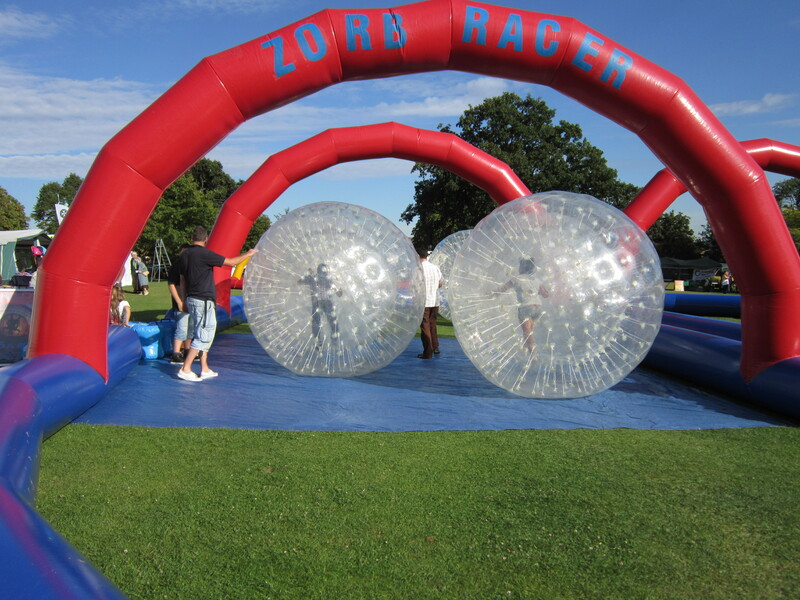 At zorbing Hire UK we specialise in holding all sorts of events, from parties to stag do's to corporate events. If you are a looking for a great time give these guys a shout! Absolutely fantastic, fun for all. I booked bubble football with zorbinghire for my hen do and it was brilliant!!!! The staff were lovely and kept everyone entertained we all had so much fun. Highly recommended!! One of the best experiences of my life. Great event for my brothers birthday. Highly recommend this, will deffo be booking for my mates stag. Really professional team, after 30min of football we were getting tired but zorbing hire pull so many other games out of the bag to keep us entertained. My favourite was barrel balls! Thank you so much for a great day, already planning our next one!